What Is Springboard America? I bet you heard about it if you are into earning money through paid survey site. Is it worth spending your time making money with Springboard America? Read my view on this paid survey platform and pay attention to the next few lines. Reward: PayPal, Prepaid Visa, Check and Amazon gift cards. Springboard America is a paid survey site. It is one of the top online market research companies in the world. It is operated by Vision Critical, in which it is the most trusted global research firm in the marketing research field. Vision Critical is based in Vancouver, Canada and founded by Angus Reid. He is one of the legends in the market research industry. Springboard America has some finest clients such as Lonely Planet, Jet Blue, CBS and Golf Digest. It has more than two million surveys to be filled every month. I always like to find out the team or company behind the product. First, I want to find out if this product is legitimate and also to know if it is worth investing your time working alongside with them. As part of the verification process, I also look out for the accreditation from the Better Business Bureau. To my surprised, Springboard America does not have one. Does that mean Springboard America is not legit? Of course not, it is not the only criteria to verify if it is a legit product. Checking the accreditation from BBB is just simply one of the easiest and the most straightforward way to know how good is the company. To my knowledge, Springboard America has not really done well as compared to other survey panels, of which I will touch on this later. After making a thorough research on Springboard America and its parent company, I can assure you that it is a legitimate survey panel. What Does Springboard America Do? Just like Vivatic, Toluna, Mindfield Online and Survey Downline, Springboard America is a survey panel that collects and analyzes public opinions and consumer spending habits. Public (respondents) can sign up with them for FREE to participate in surveys and discussions that will impact the products and services we pay for in our daily life. In return, Springboard America reward you some commissions upon completing a survey. How to Make Money with Springboard America? You make money by taking online surveys with Springboard America. Upon signing up with Springboard America, you will be receiving survey invitations through your inbox. These invites normally expire within a certain period of time. Therefore, it is advisable to turn on the email alert so that you do not miss out any money making opportunities. Springboard is one of the few paid survey sites that still pays in cash. Other paid survey sites that still pay cash are Survey Savvy, Survey Downline, Opinion Outpost, Survey Spot, and Mindfield Online. You could make $0.50 cents up to $5.00 per survey. However, it is very rare to get the $5.00 survey invite. Maybe one in every four to six months. The reward amount is directly proportional to the length of the survey. Most surveys that come with the commission of $0.50 last between 10 to 20 minutes. In average, you will receive one to four invites every month. In order to keep your account active, you are required to complete at least one survey every three months. Upon signing up as a member of Springboard America, you will be given an entry into a $1,000 sweepstakes. However, do not put high hope on this. Another way to make money with Springboard America is their focus group. For those who do not know what is a focus group, it is a form of qualitative research. They are normally interactive group settings chaired by a trained moderator. Your task is to give feedback and exchange ideas with other participants over a course of the conversation. You can earn up to $100 by participating in a focus group. What are the Requirements to Make Money with Springboard America? You have to be a US citizen and you must be over 14-year-old. Upon reaching 18-year-old, you will be able to participate in most of their surveys (subject to demographic). Update: if you live in the UK, you could also make money with Springboard America too. You can find them in London, Scotland, North England, Wales, Cumbria, and Cornwall. Your reward is normally shown as “survey dollars”, of which it is equivalent to real US dollar. That simply means if you have 5 survey dollar, that means you have $5. Springboard America has upgraded their payment system where they now pay members in cash via PayPal. Before this, they only pay members in checks. not only that, Springboard America has gone extra miles where you can also donate your commissions to a charitable organization. However, there is a great downside of Springboard America, you can only redeem your rewards only when you accumulate $50. You can redeem your $50.00 worth of points for Amazon gift cards. That normally will take four to six weeks time. (+) Springboard America allows teens to make money online (14-year-old and above). (+) They have improved their payment system, of which it pays to your PayPal account! (+) Signing up with Springboard America is free. You will be given an entry to win the $1,000 sweepstakes upon signing up with them. (+) Not only you can make money with Springboard America, you can also make donations to the charity with the commissions you make. (+) You can participate in their monthly Mosaic survey rewards sweepstakes that worth $750 in cash prizes. (+) Surveys are relatively easier to qualify and short. Most of the surveys are interesting and fun. (-) Springboard America does not accept members from Canada and Australia. (-) The cash-out threshold is way too high – $50. My experience tells me this is considered as a high payout amount. It is among the highest in the market research industry. I have seen many complaints about their high cash-out threshold. It can take an extremely long time to accumulate $50, especially if you only receive three to four survey invites per month. A lot of members become frustrated and join other survey panels before they ever reach their payout. I have seen people who have joined Springboard for two years and they have not made any redemption. (-) One of the biggest problems of Springboard America is you will not receive a lot of invites from it. Even if you receive five surveys per month, you will not be able to qualify for most surveys. This can be very frustrating. (-) I am glad that Springboard America does pay via PayPal now. If you have not set up a PayPal account, get one now. In the past, most payouts were made in checks. It normally takes eight to ten weeks to get it delivered to their members. (-) Although you only have to be 14 to join Springboard America, you receive fewer surveys. That simply means it is almost impossible to accumulate $50 in a short period of time. Springboard America is definite not a scam, but it is not a great platform to make side incomes. If you are looking for the best survey panel, I wouldn’t recommend Springboard America. I have recently made some reviews on other products and I found Vivatic Survey is worth trying. Although it is relatively a new company, it, at least, has lower payout threshold and it pays on time. Lastly, I hope you enjoy my review on the Springboard America. For those who are not familiar with it, I hope this post gives you some ideas what exactly is Springboard America. I appreciate if you could share this post with your friends. For those who have tried Springboard America, share with me your experience with this product. If you have any questions, let me know in the comment box below. If you are looking for a better way to make money online from home. Read How To Make Money Online For Free and Earn Money Online as Affiliate Marketers. How Would You Start a Business Online? Can You Really Make Money Selling Camera and Photos Online? Springboard america is a great website for getting money online doing surveys. Like with any survey site, Springboard america offers surveys for a price. Now while not being the best, it does the job like its suppose to. I have been paid a few hundred bucks from Springboard with only doing surveys for a week. Just takes a lot of time and click. That’s great to hear that you have the money paid to your account. Springboard America is not bad at all, as compared to many other survey sites. At least, we know that they run a legitimate business and they do pay the members. I’ve been through a lot of these online marketing sites in my time and not many of them are scam related…but not many of them are worth it either! Surveys tend to be based on too many demographics leading to people getting kicked out helfway through. When you factor in the low pay ( under a dollar ) it’s hardly worth it! Indeed Chris, there are many legitimate paid survey sites in the market. I have tried a few of them too. I used them during my study many years ago. I managed to make some decent pocket money. 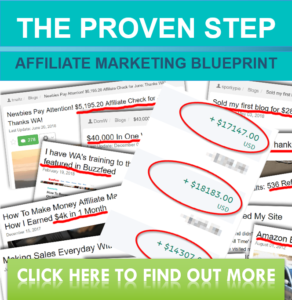 I have now shifted my focus to affiliate marketing. The earning potential is significantly huge. It is the best way to make a lucrative income online. If you are new to affiliate marketing and you would like to know more about it, you could go through the online training course here.